Star International specializes in mid-high level designs, priding ourselves in style, unparalleled service, and most everything is available for delivery between three and six weeks. Since 1977 Star International has been designing and importing fine contemporary bedroom, dining, occasional and office furniture. Our unique designs incorporate trend setting materials and melded with contemporary form. Our collection is constantly evolving and we enjoy the excitement our dedication to design brings to the discerning customer. 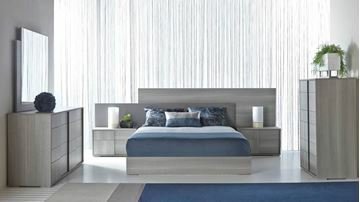 The beautiful Icon Bedroom begins with the bed ensemble, which includes the bed and two nightstands. 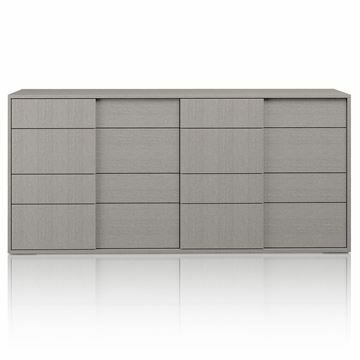 Gloss white lacquer and polished chrome accents define the uber modern Icon Bedroom Collection. 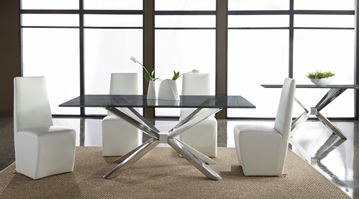 100% Made in Italy by Star International Furniture. 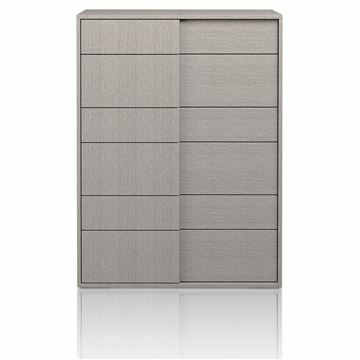 The headboard features a unique chrome accent inlay, and all pieces rest upon chrome legs. For added design, the nightstands rest within the confines of a notch overhang designed in the headboard. Requires box spring and mattress. High Gloss Bleached Maple with metallic brown accent reveals. Made in Italy. 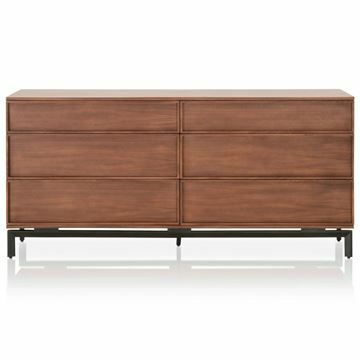 The Regent Buffet by Star International Furniture is a beautifully crafted piece. Three internal glass shelves provide organized storage, in addition to a pullout cutlery drawer. The center doors and drawer faces feature the wood grain turned at 45 degree angles, adding to a unique visual effect. 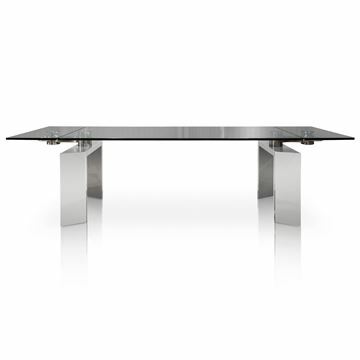 High Gloss Gray Birch, and polished steel accents. 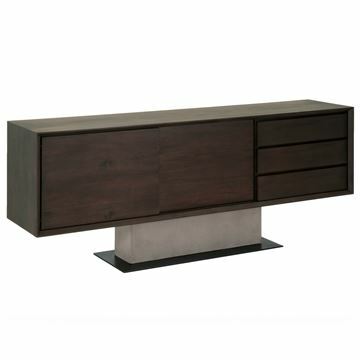 The Noble Buffet by Star International is 100% made in Italy. Accent metal pulls and reveals are crafted in polished steel. The interior is finished with clean design tempered glass shelves. 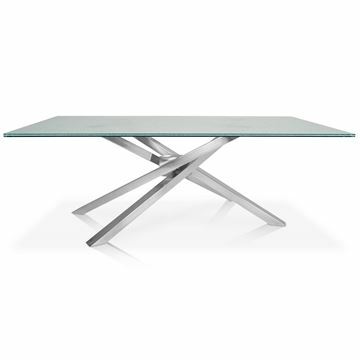 Angled gray iron base and arms support a unique smooth gliding glass top extension table. 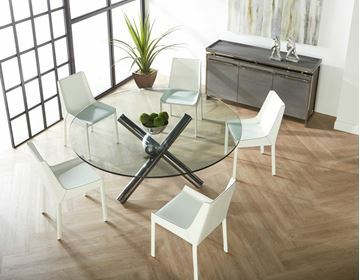 The Victory glass extension dining table by Star International Furniture is a beautiful modern design. 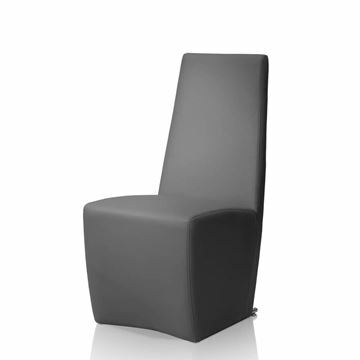 The open nature of the metal pedestal base design lends to comfortable seating for up to ten. High Gloss Bleached Maple with a unique metallic brown edge inlay. 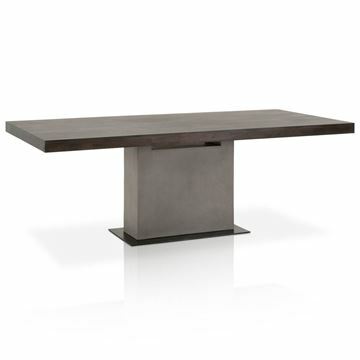 The Regent Dining Table by Star International Furniture is 100% made in Italy. 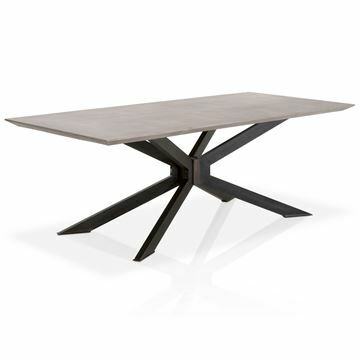 Comes standard with a leaf extension, enabling you to expand the width of the table from 71" to 88 1/2". This equates to seating for eight to as much as ten. Gray Fog fabric, and gloss gray birch solid wood legs. The Noble Side chair is crafted by Star International Furniture and 100% made in Italy. 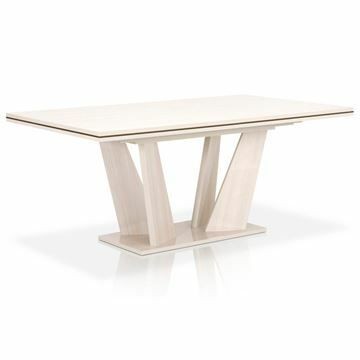 The perfect matching design for the Noble Dining Table. Gray Birch with protective high gloss finish. 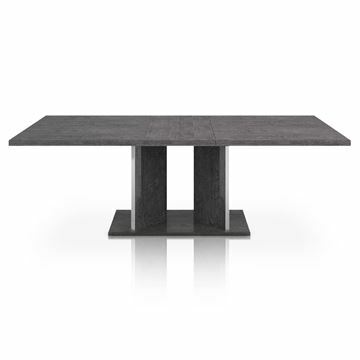 The Noble Dining Table by Star International, 100% made in Italy. Seats six comfortably, and up to ten with the leaf extension inserted in the table, expanding the size from 71" to an impressive 88.5". Illusione features four stainless steel posts interlocked to form a crystalline geometric form. 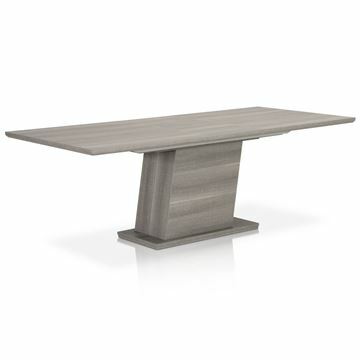 The base is a truly unique and dramatic presentation when paired with any of Star's glass tops. 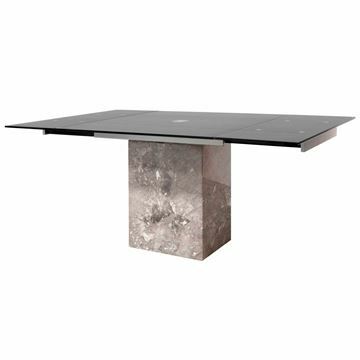 Three intertwined black stainless steel posts are fused together, forming the beautiful look of the Gotham Dining Table. A truly futuristic modern looking design. Choose between a variety of glass tops to create the finished look that's perfectly matched to your room. 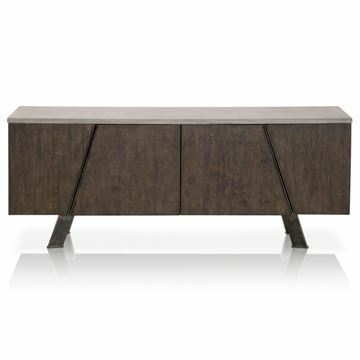 The Cuba Buffet by Star International Furniture features an Acacia Wood top with a concrete pedestal base. The metal base plate is finished in matte black. 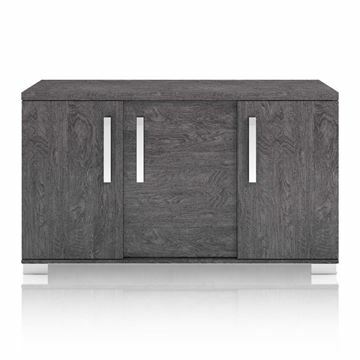 The Cuba buffet is a symmetrically balanced transitional design. 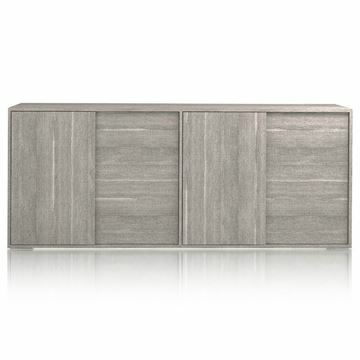 The left side of the cabinet features sliding doors, and behind each is a shelf. Three drawers to the right allow for organized storage as well. Crafted in Acacia and concrete. 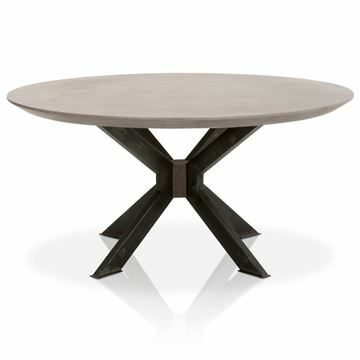 The Cuba Dining Table by Star International Furniture features an Acacia Wood top with a truly unique concrete base. The metal base plate is finished in matte black. Cuba is a symmetrically balanced transitional design. 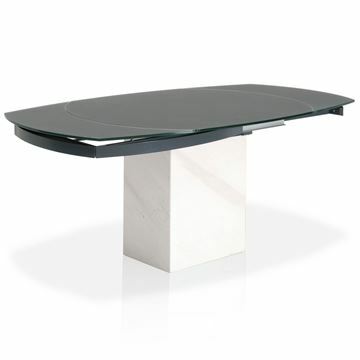 An accent channel is formed between the base and the top to give the table overall design appeal and add a little bit of light transparency to cross through the design. Wow!! 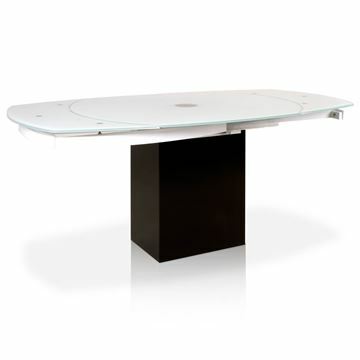 The Chrono Extension Dining Table by Star International Furniture is the perfect table for the techno person in any home. Glass leaf extensions are self storing below the main glass top. As a leaf is extended, synchronized gears rotate in harmony just like the gears of a watch. 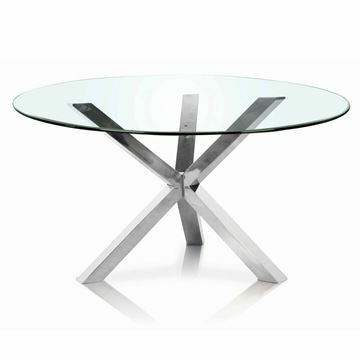 The metal legs are crafted in polished stainless steel. The gears are for decorative purposes only and do not impact the opening, closing, nor synchronize the leaf extensions. Table seats six to ten people. Extending the leaf ends is very simple and can be easily done by one person. 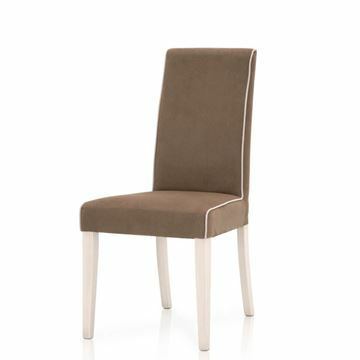 The Regent Dining Chair by Star International Furniture. Made in Italy. 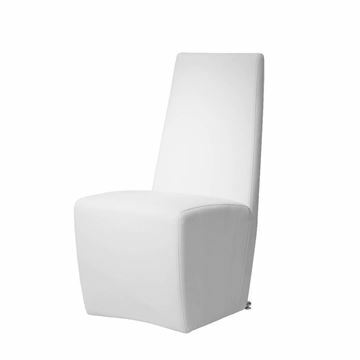 A luxurious subtle textured coco fabric and off white piping comprise the covering for the dining chair. The fabric is 100% polyester, making it durable and very easy to clean. 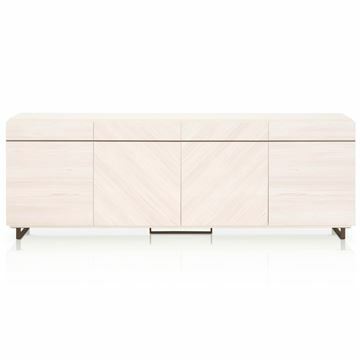 Legs are made of solid bleached oak and finished with a protective high gloss finish. 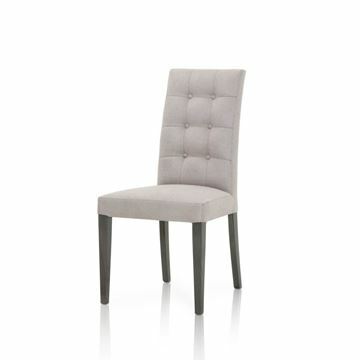 The high back and plush seating make the Regent a very comfortable dining chair for any occasion.